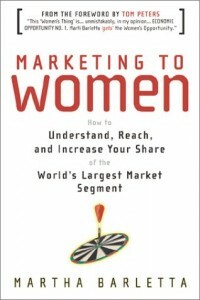 Marketing to Women–Do You REALLY Understand The Dynamics? 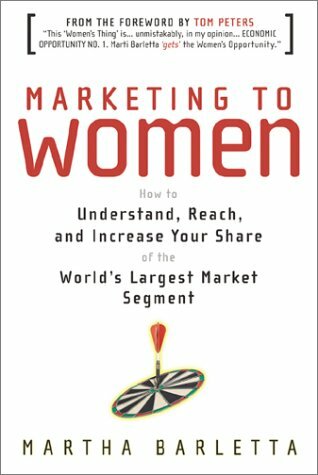 The following are some excerpts from Martha Barletta’s book, Marketing to Women: How to Understand, Reach, and Increase Your Share of The World’s Largest Market Segment. From that perspective, how different are men and women, really? In my mind, it’s like the mice and men: women and men may be 95% the same, and only 5% different…but boy does that last 5% makes a big difference! Especially since much of that 5% is concentrated right at the heart of marketing: differences in perceptions, preferences, aptitudes, behaviors, communication patterns and more. You wouldn’t attempt to market to a mouse as you would to a human, I’ll assume if for some odd reason you found yourself in the marketing-to-mice business. For mice, you’d use cheese, maybe, and you’d speak in the high, squeaky tones mice like to use. The differences between men and women are in some ways as profound as the differences between mice and men. It can be tricky to talk about of male/female differences in a way that nobody finds offensive. For lots of good reasons, it’s still kind of a sore subject with a lot of people. That’s why it’s important to review the data. We need to sort out the truth from the tripe and be aware of the very real differences between men and women so that we can adapt appropriately. The findings are fascinating, and the applications are endless in your home, in your workplace, and, of course, in your marketing and communication plans. With advances in health care and the healthier diets, different lifestyles and other choices now available to us, we’re all living longer. In her book New Passages, Gail Sheehy pointed out that, although we think of longer life expectancy as adding more time to the end of life, in reality, it’s more like adding an extra decade to the middle, somewhere between 50 and 60. These days, 55 is very alive; it’s Prime Time, not the darkest hour before the dawn. As the Baby Boomer population bulge moves into Prime Time–and becomes progressively more female, by the way–we’re going to see some major shifts in both popular culture and marketing opportunities. Between the years 2000 and 2010, the 55-64 year old population will grow an astounding 48%; by contrast, the 25-54 age segment will grow a mere 2%. And, because women live longer, as any population ages, it becomes proportionately more female: in 2001, among Americans aged 65+, 14.6 million were men and 20.5 million were women. Most older women will be healthy and can look forward to many years of an active lifestyle. According to Diane Holman of WomanTrends, if a woman reaches her 50th birthday without cancer or heart disease, she can expect to see 92. Whereas Baby Boomers’ grandmothers may have sat in a rocker sipping a cup of tea while reading a book, today’s Boomer grandma is more likely to be sitting at her computer sipping Evian having just come in from her tennis match. These will not be women pining for the good old days of their lost youth. As a matter of fact, the Grey Advertising study found that the great majority of women, eight out of ten, said they feel stronger and more confident in themselves as they grow older. That may be due to maturity, wisdom and experience, of course. But it;s likely it also has something to do with the “fifth decade hormone flip,” a biochemical jiu-jitsu in the way men and women interact with one another. Between the ages of 40 and 80, men’s T-levels drop a dramatic 50%. They also let go of a lot of the aggressiveness and combativeness conferred upon them by testosterone. After 30 years of focus on work and moving up in the hierarchy, they become more relaxed about interpersonal relationships and interested in strengthening family ties. In short, they mellow out. What this means for marketers is that those of you who sell big ticket items, such as cars, computers or financial services, to Prime Time couples in their 50s and 60s need to get really gender-savvy really fast. All the family assets handed down from her parents and his parents are migrating to her wallet. If you know how to follow dollar signs, youíll learn to communicate well with women. Martha Barletta is an internationally recognized expert and consultant on successful marketing to women, selling to women and women in the workplace. Her eye-opening insights, lively presentation style and practical “how to” suggestions makes her a popular, highly-rated speaker and seminar leader at conferences and corporate meetings. She has been featured in The San Francisco Examiner, The London Free Press, Dagens Industri (Sweden), The Toronto Star, Brandweek, Strategy, Marketing, PROMO, Yahoo! Business Journal and other publications.